Last night a friend and I went out to The Farmhouse Tap & Grill. I’m a big fan of drinking there because it has a rustic log cabin feel, indulgent steak tartare, and a great selection of ciders AND Gluten Free beer! I tried one of each and was in tummy heaven. For me, 2 glasses of cider is the perfect kind of tipsy: totally in control, but still feeling a little light on the toes. However, even the smallest amount of sugary alcohol can provoke a mean hangover. Thus, it became imperative to make some food to prepare our bellies before conking out. I decided on some scrambled eggs with Romano cheese and a plate of smoked salmon. 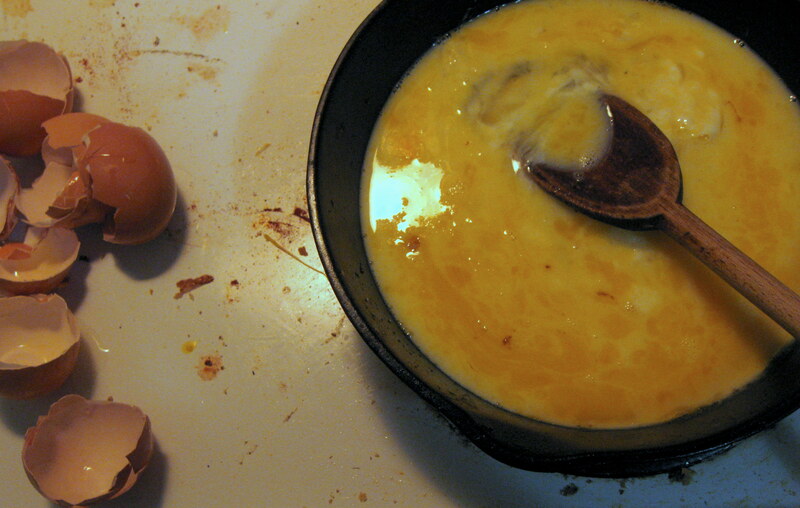 Crack open five eggs, add some milk, mix together with a fork, and pour it into a pan on medium-low heat. 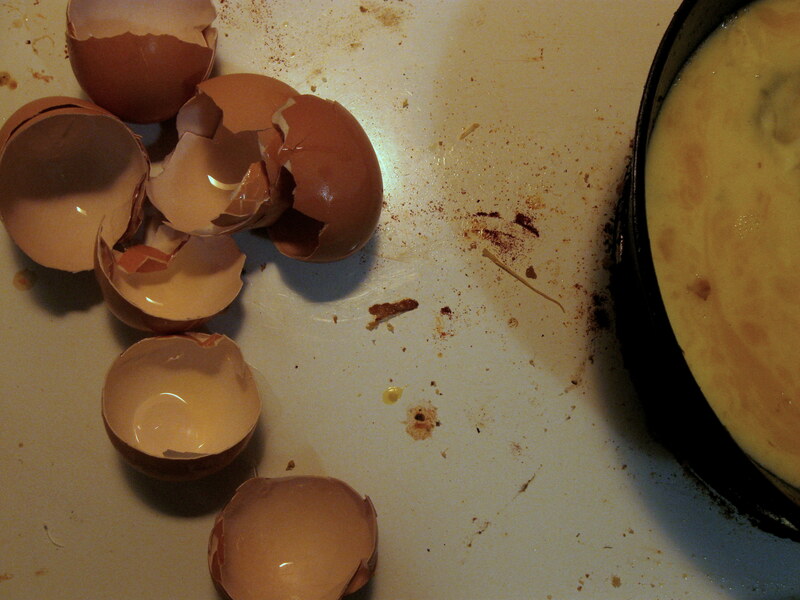 Breakfast foods like scrambled eggs, bacon, and pancakes take time and patience. If you put these items into a pan that is already hot the eggs will seize, the bacon will burn, and your pancakes will be all crusty on the bottom. Instead place the food on the pan before it heats up, that way your food can become acclimated. Of course, what would a meal be without some photos be? My stove top is a 9.5 out of 10 on the grimy scale, so I decided the theme should follow!